Here is how its works...we both use the same stamp set, same challenge, same post date and same post time. 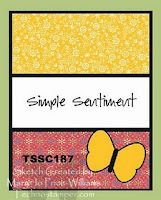 We picked PTI~ In Bloom stamp set and FTL#155 with a bit of ColourQ challenge today. The ColourQ comobo we picked is.... CQC#89. Love this sentiment...I used the blooms to create a background. Just added a few Martha Stewart butterfly punch outs ,rhinestone and pearls to embellish the card. 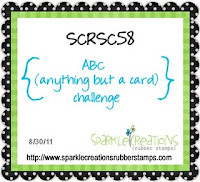 Let me know what you think about my card and make sure to hop over to KAREN's blog to check out her take on this challenge. Thank you Karen ...it was super fun . Thank you all for stopping by.. Thank you Everyone for all the Sweet B'day wishes, really made my day extra special! Congrats Katelyn!!! Please email me at PIALI(DOT)BISWAS(AT)YAHOO(DOT)COM with your postal addy. 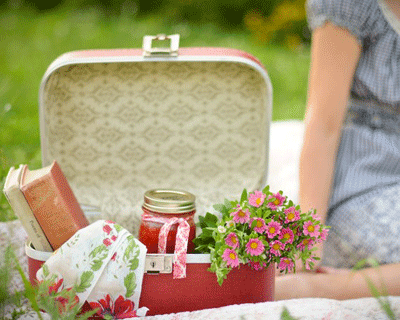 Thanks to all my blog readers...love your sweet comments and keep on visiting ! Check out for the September blog candy sooooooooon! So I've a fun project today...Soda Jenny is the perfect one for it!! I love soda......I drink COKE whole day. So I used Soda Jenny for lil' party refreshments.. The sentiment is from Claudia and Co.~ Heart of a Card Sentiments stamp. The fun papers are from Jillibean Soup. This project is also for the following challenges.. I used ribbon and twine. Drunken Stampers : Fruity Summer Day Cocktails . Make sure to stop by the SCRS blog for a ll the prize details ! YAY!!!! Its Friday!! Always makes me happy...weekend, lots of family time, late mornings and lots of Fun! 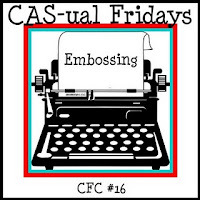 Today I've a no-stamping project to share with you. I tried a new fabulous technique for this card and I'm very happy how it turned out... now you tell me if you like it. Gorgeous My Mind's Eye~ Lost & Found 2- Breeze paper collection and fabulous Stampendous Fran•táge Class A' Peel stickers are the perfect match. When I saw the crown patterned paper I knew I had use it with the crown stickers. I tried Fran Seiford’s Encrusted Jewel Technique ...love it!!! Applied some versamark ink on the bottom left corner and then sprinkled a mix of embossing powders, glitter and Mica Fragments on it. Heat embossed it. Up close it looks wonderful..adds a great texture and interest to the project! Checkout the fabulous tutorial of Encrusted Jewel Technique…HERE. Here is recipe of EP, glitter & Mica fragments mix..
Tuesday Throwdown: Dimension & Texture. 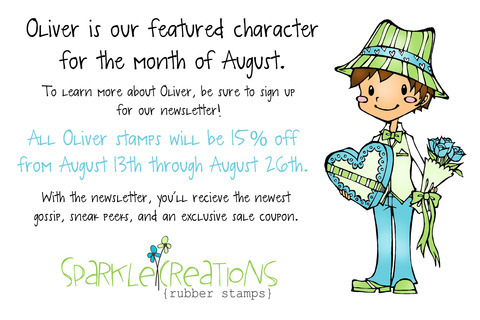 Checkout Taylor's fabulous stamper's delight candy.....HERE. There is few more days left for my MME & Echo Park candy....check it HERE. Checkout my blog candy ....HERE. 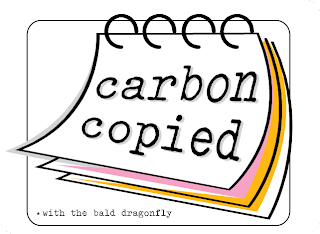 I'm playing along with all PTI fans.....its August Papertrey Ink Bloghop Time!! Its been a while .. the first time after I moved to India. .....and here is my take on it. 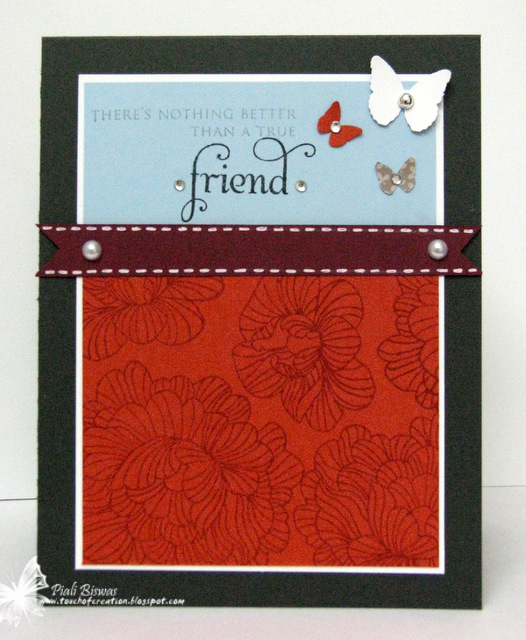 I used Botanical Silhouettes ,Woodgrain and Background Basics-Botanicals stamp sets. Does the tag shape look familiar to you all???? Its Mat Stack #3 ...only I recut the edge halfway using Mat Stack #2. The rounded corner and rounded edge of the tag makes the card a perfect fit for PPA108 challenge. This card is also for Paper Pretties (make your own background challenge) and Paper Take Weekly ( Dies To Die For challenge). I'm trying to get back on schedule....100% crafty time!! 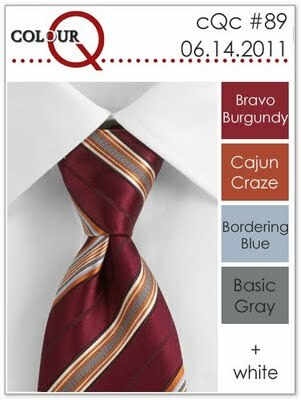 Here is a CAS thank you card I would like to share with you all.. I used Sizzix embossing folder for this card. Last weekend I got a lovely package from Claudia and Co. ....full of new My Mind's Eye goodies....love the Lost & found 2 6x6 pads...Awesome!! 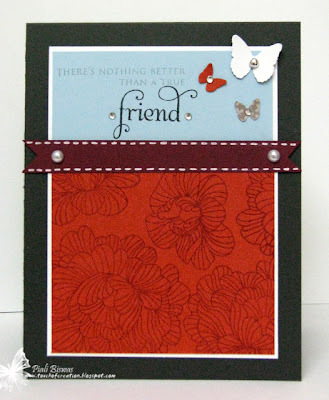 Just made a quick card...with almost no stamping, only stamping I did is the word" friend" from Stampendous stamp set. 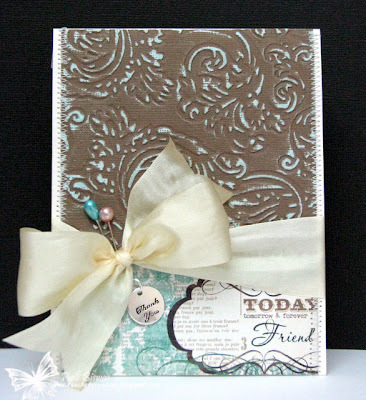 Embellished the card with gorgeous May Arts Silk ribbon (love it ), few stick pins and a charm ! The stick pins are from Pizzazz Aplenty.... they're white ones I just colored it with Copics to match. 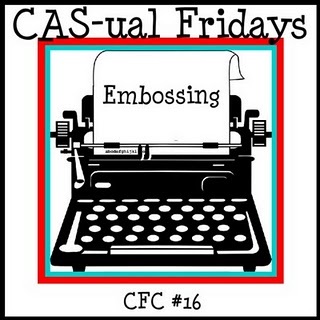 CAS-ual Fridays: Embossing of any kind. City Crafter Challenge: Best of Friends. Check out my blog candy ...HERE! The bright papers are from Echo park~ Dots & Lines Metropolitan and Country Drive Collections. Paper Sundaes: Green, Buttons, Banners and /or Twine (use a least two). Make sure to check out SCRS blog for the prize details and lovely DT inspirations!! I just wanted to share few Stampendous cards with you!! 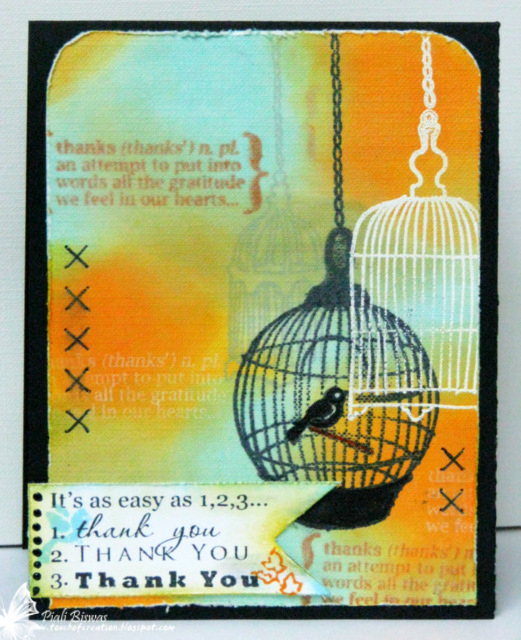 A CAS card with few of my favorite shades of Distress inks and Stampendous~Birthday Cages Perfectly Clear Stamps. 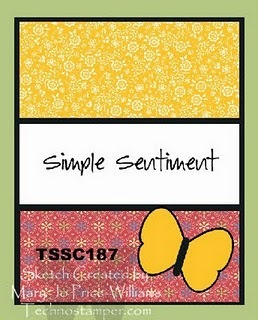 The fabulous sentiments from Stampendous~Friendship Assortment Perfectly Clear Stamps. I used the background from Stampendous~Cling Petals Nouveau stamp and butterfly from Stampendous~Cling Jumbo Hydrangea set. The sentiment is from Two You Perfectly Clear Stamp. 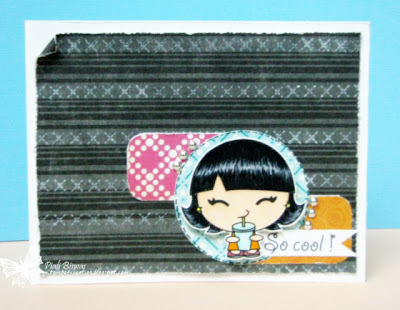 I also used one of my favorite Stampendous product..... Detailed white embossing powder. Challenge Up Your Life : No patterned paper. 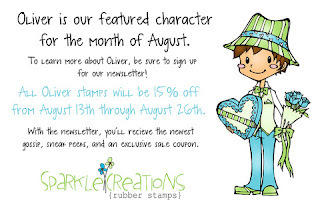 Want to win some Stampendous stamps???? Stop by these blogs : Pam Hornschu, Wendy Jordan, Cyndi Bundy, Taylor Usry, Wendy Price and Lynn Mercurio. 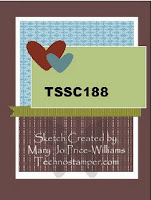 All these lovely Stampendous DT ladies are giving away lovely stamp sets. I'm just four years away from 40..scary isn't it??? I loooooooooove DP's...My Mind's Eye & Echo Park are my two of my most favorite paper companies. I ordered some new 6x6 pads from Claudia and Co. for me and also ordered 3 -6x6 pads for one of my lucky FOLLOWER too!! 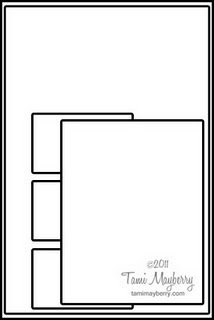 1-6X6 ECHO PARK ~ HAPPY DAYS PAPER PAD. 1. Follow my blog...as it easier to check back about the candy winner( last time I had a hard time contacting the winner) . 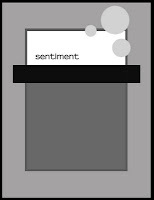 It will also keep you informed about the future monthly blog candies. 2. Enter your name using the Linky tool (below) by August 28th 11.59 P.M.
You also can check out Claudia and Co. store for all the new CHA release yummy papers too! If do visit the store let me know Which one is your favorite DP from the new releases??? 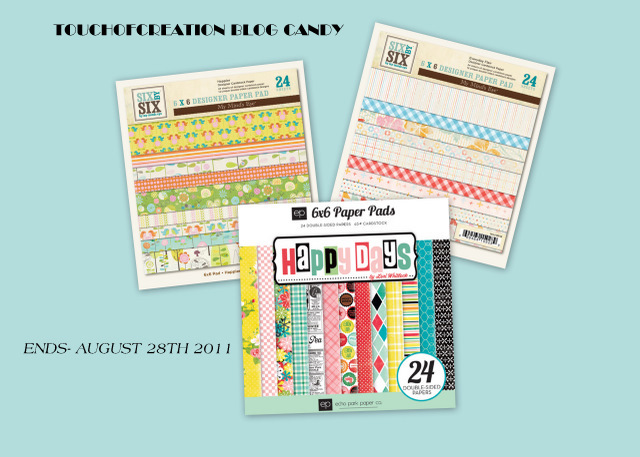 I'll pick a winner on August 29th and the paper pads will be directly shipped from Claudia and Co. I'm here to share my last AUD SENTIMENTS Challenge DT card ! Love that theme ,isn't it??? We've a fab sponsors this time.....one of my favorite Digi store.. Winner will get a$10 G.C. to Whimsie Doodles store!! Lots of favorite things together...like my fave My Mind's Eye DP... Echo Park Elements stickers. 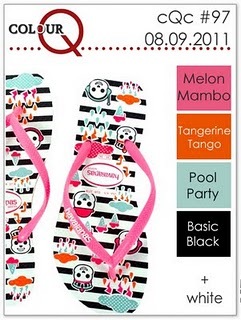 The yummy DPs are from My Mind's Eye~ Lime Twist - Life of the party collection. The sentiment is a sticker from Echo Park's~ Country Drive collection Kit. 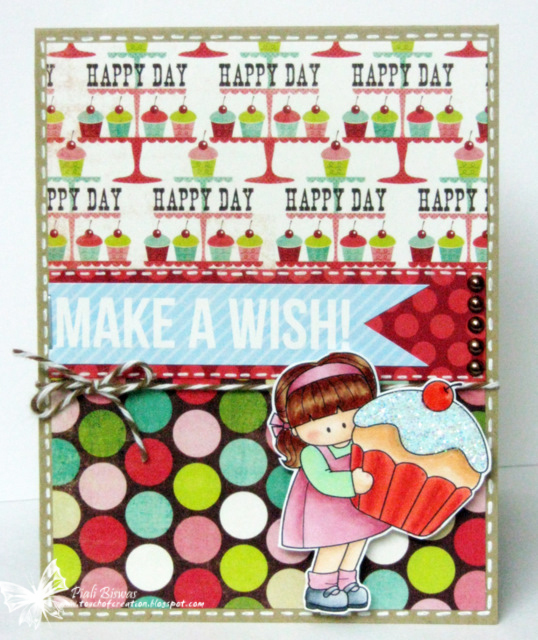 The sweet image is Cupcake Leah from Whimsie doodles. I added some gorgeous Stampendous ~ Crystal Snow glitter on the frosting and glossy accent on the cherry. Finished the card off with a little baker's twine and some Dark Chocolate Pearls from Pizzazz Aplenty. Divas by Design: Birthdays . 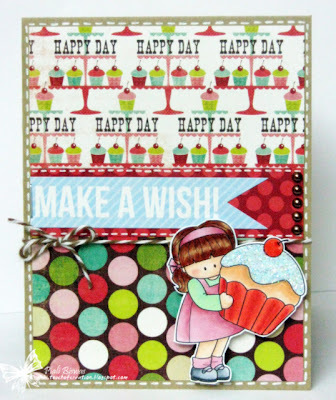 Whimsie Wednesday challenge: use 3 different patterned papers . Audrey is having a DT call....check it out HERE. Hope you all doing fine!! We had a long weekend here and enjoyed with my family. The kids had two birthday parties to attend... and I needed few more birthday cards!! 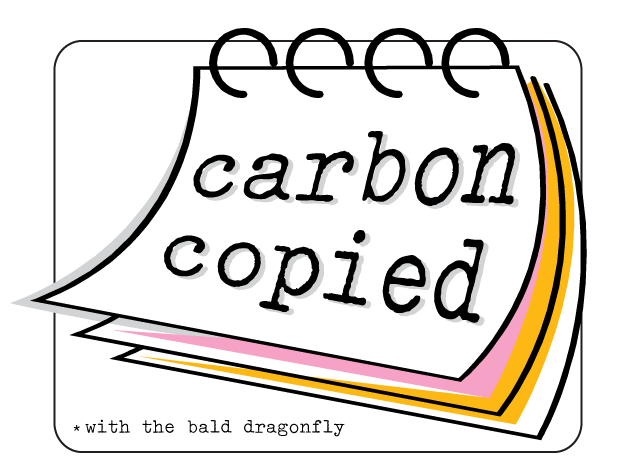 We've a fab sketch for you all today! I found out lot of people think that the SCRS images are great for coloring or only crafters with great colorng skills should use it or these images can't be used for quick cards.. But I would like to say thats not true...I made is card just in 10 minutes ... 100% truth!!! 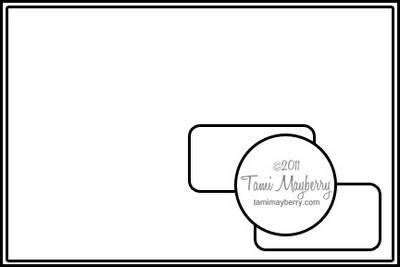 Here is a super cute card without coloring and super quick & easy one too!! 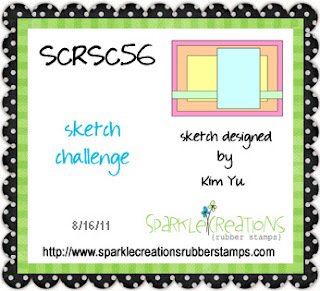 Love the gorgeous SCRS images ...can be used in many different ways. I used Birthday Chloe for my card today!. I know an uber talented crafter and my ex-DT friend who is the master of this style...JULIE LACEY... you can check her blog for inspiring creations. 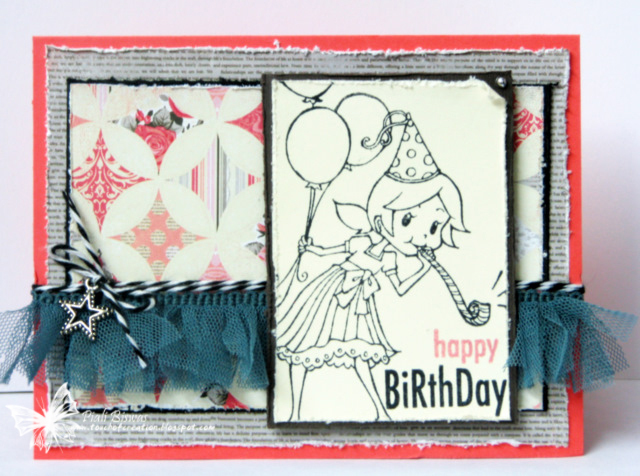 The lovely papers are from Authentique~ Uncommon collection! The trim is from Webster's Pages...and the sentiment from Woodware USA stamps. 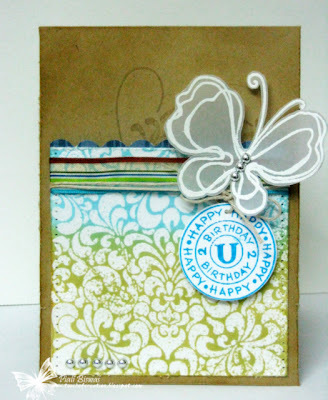 Card Makin' Mamas: birthday cards. Crafty Pad: Cute 'n Girly. 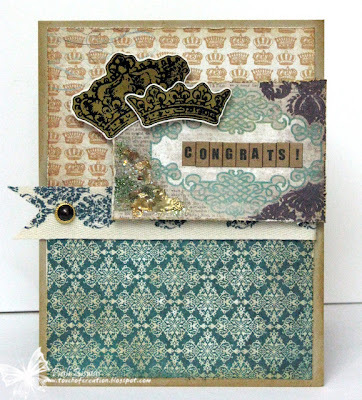 Marks Finest Papers: Distressed Card. 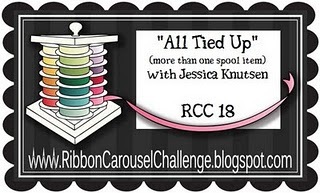 Check out the SCRS blog for all the deets and fabulous prizes info.! SCRS New Release-- Soda Jenny! 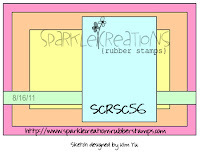 Welcome to Day 3 of SPARKLE CREATIONS RUBBER STAMP new release bloghop!! 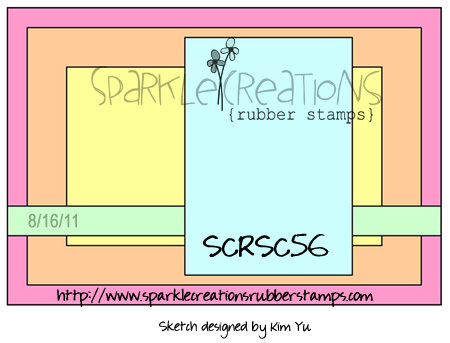 Today we'll share a sneak peek of the another new SCRS karber stamp. She is super cool!!! I used Echo Park's DPs for this fun card. The sentiment is fron the same stamp set. Also added some silver pearl embellsihments from Pizzazz Aplenty!! 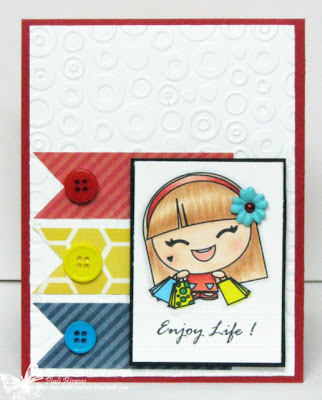 Cute Card Thursday: Clean & Simple. Be sure to visit all rest of the SCRS designers for more peeks of Soda Jenny. 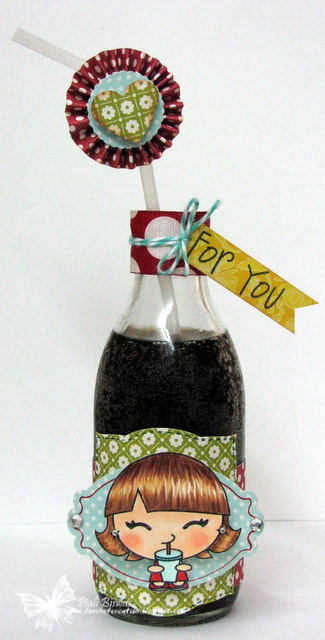 Sparkle will be giving away a Soda Jenny to one lucky person! For a chance to win, you need to comment on all of the designer's blogs (list below). Then head on over to the SCRS blog and comment on the Jenny post. You have until midnight EST each day to comment. The lucky winner will be announced the following day!